That was how a co-worker chose to describe my work/holiday routine. To be fair, I had just returned from a two-week holiday to the US and Caribbean prior to skiing in Austria for a week. So, it was harsh but true. In my defence, when I got back from Afghanistan I had a huge chunk of leave to use before the end of the financial year and I was determined to give it my best effort! I think I succeeded. In order to restore the balance of things on my return, I needed to get some work done and quickly. Quick diary check: Cyprus? Suits me, so here I am writing you another blog from a seat in an Airbus A330 (somewhere over Eastern Europe), having just completed another week-long photo assignment. Hey come on, it’s still work. When I got the assignment to go to Cyprus, I thought it would be a Civil Servant Army Press officer from the Exeter office and me, so I was surprised to see the Senior video camera guys from the Army News Team at HQ Army plus three civilian members of the press at RAF Brize Norton when I arrived for check in. I knew I was going to be busier than expected. I wasn’t wrong. 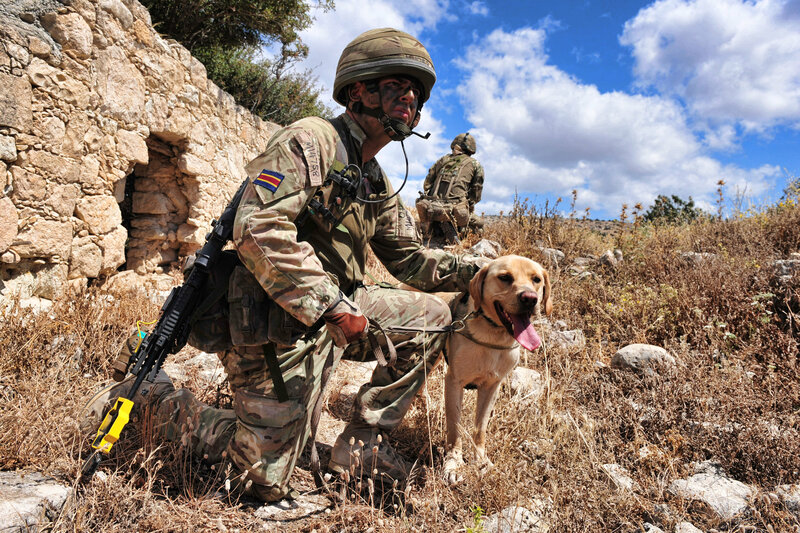 My pictures were going to be sent in several directions; the British Army social media channels (including Facebook, Twitter, tumblr), regional press newspapers and also some news websites. Plus I was supposed to be putting together a multimedia presentation. It’s always been a great incentive to get better pictures when you are pretty much guaranteed to have some kind of output with them besides throwing them up on Twitter or Facebook. Don’t get me wrong; some of my pictures have had great success on social media. This one for instance had all the ingredients to be a success: It has a dog and it has an interaction of some kind between it and a human. Very simple ingredients, but a very powerful recipe. It’s not the record for Army social media but, as I write this, it has close to 10,000 ‘likes’ on Facebook. I am happy with that. 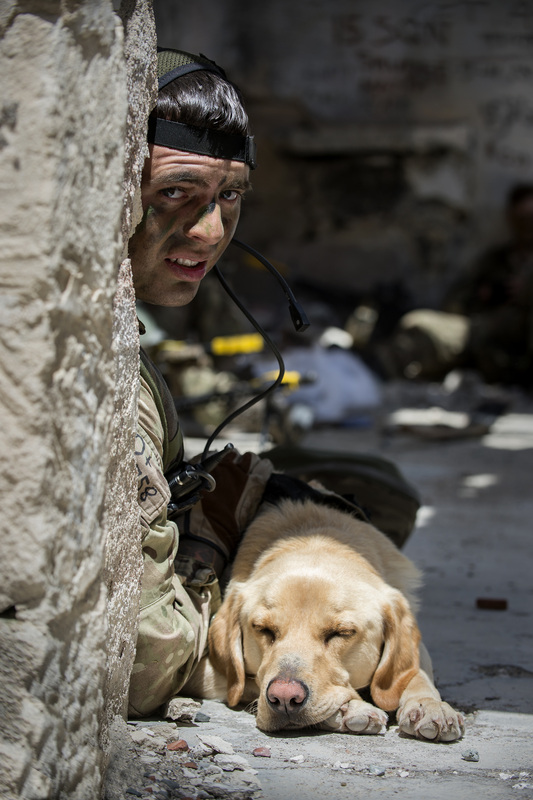 Pictured: Lance Corporal Ryan Millican shows affection to his search dog, Otis during an Exercise in Cyprus. So, knowing I had a lot of outlets to cater for meant I was hyped about getting on that plane. With introductions complete we set off. Well, I say that. What I meant was that we finally got off once we factored in the seemingly obligatory delay that comes with airline travel. Even the RAF is not immune. We landed in Cyprus late in the evening but were quickly assigned our accommodation. I was with some senior ranks from 6th Battalion The Rifles in the transit rooms, but I was lucky to have one all to myself. As soon as I arrived at Episkopi camp I was barraged by the smell of reminiscence. The flora of camp took me back to the late nineties when I was based in the same place. I will never forget that smell. Back in 1998 I lived in a transit block similar to the one I had been given. It hadn’t aged a bit in my mind or reality. The décor was similar to how I remembered it. Quite how I remembered those days is a little beyond me. I was nineteen years old and the streets of Limasol were alive with loud music and Cypriot vodka. In my days off I would party hard, but back then a hangover didn’t mean three subsequent days of recovery! Back to today; and a Miami time zone meant it was a struggle to get out of bed the next morning, but we were straight up and out. The ‘cookhouse’ was up a hill about half a mile from where I was staying, so breakfast was bought in the café 200 metres away instead. We all headed for briefings by the officers of 6 Rifles, who were hosting us for the exercise. They are a reservist unit based predominantly in Cornwall, hence the reason we had ITV Southwest, Pirate FM and the West Briton newspaper reporters with us. Once all the military jargon of the briefings had been decrypted and translated for the press, we made a run for the hills where a platoon of riflemen was storming a position. Being in uniform meant I could work my way through the patrols, capturing what I could. Throughout the trip the press and I were allowed great access to see just how integrated the reservists were with their parent battalion, 1 Rifles. At times it was difficult to tell them apart. I never exercised like this in Cyprus and had forgotten what ‘mean bush’ the scrubland was. Literally everything that grows out of the ground has spikes. Trees, shrubs; even some of the grass was deadly. There are thistle-looking plants that would eat Scottish thistles alive. I have about four of them still embedded in my thigh. Needless to say that elbow and knee-pads were an absolute necessity. The day after, my Cyprus dreams were all answered in the form of a pooch. 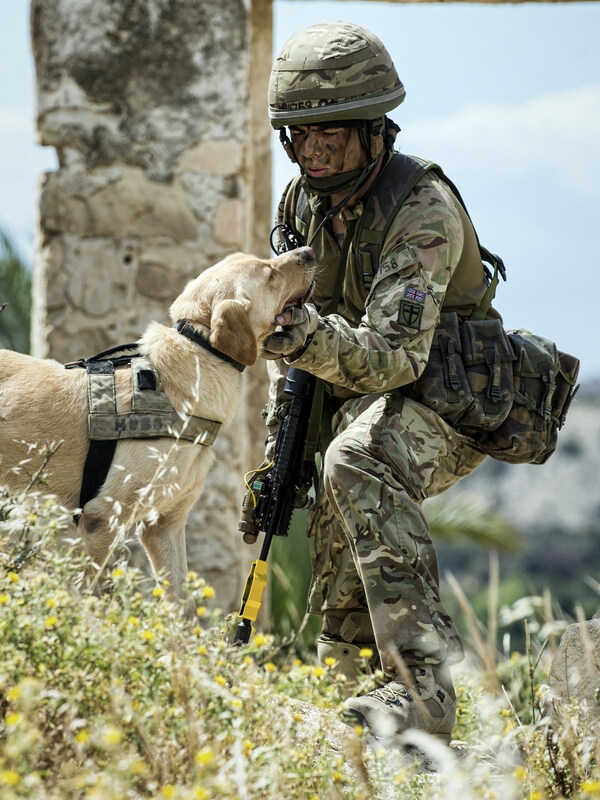 Not the Royal Marine pooch you may be thinking of, which stores essential kit. 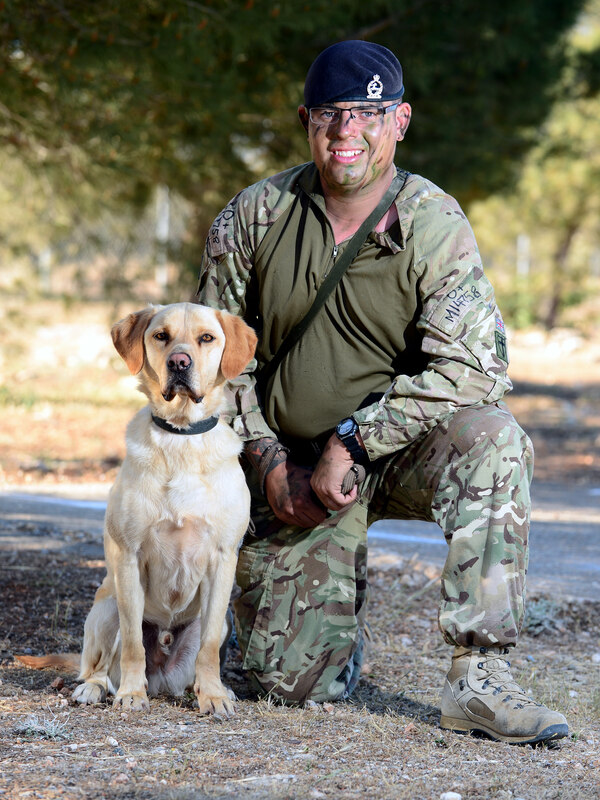 I am talking about the Golden retriever kind in the form of Otis, the search dog, and his handler from the Royal Army Veterinary Corps, LCpl Millican. Those of you who have been following this blog will know that not only do I absolutely love dogs (even though I have never had one) but also they are my ‘gold dust’ when it comes to imagery. It’s fair to say that the social media-using public love to see them, and I am here to cater for that demand. I learned very quickly that Otis loved his picture being taken, and it was as if he had attended doggy modelling school; the shots just kept on coming. The next couple of days I just bounced from attacks, to patrols, to night routine, to harbour areas and tried to get as much out of the trip as I could. During an afternoon of editing though, my mind began to wander again to my teenage years in Cyprus. The only camera I had with me then was a disposable. I didn’t really take all that many pictures in Cyprus. Not sure why; I cannot remember now, but I know I bought a couple of normal and underwater disposables. As I write this I am trying to think where all those pictures went. They must be somewhere buried under a mountain of old things in my house. I know I have them as, whilst thinking back, I remembered that when I first got onto facebook I scanned a whole load of images that I came across. 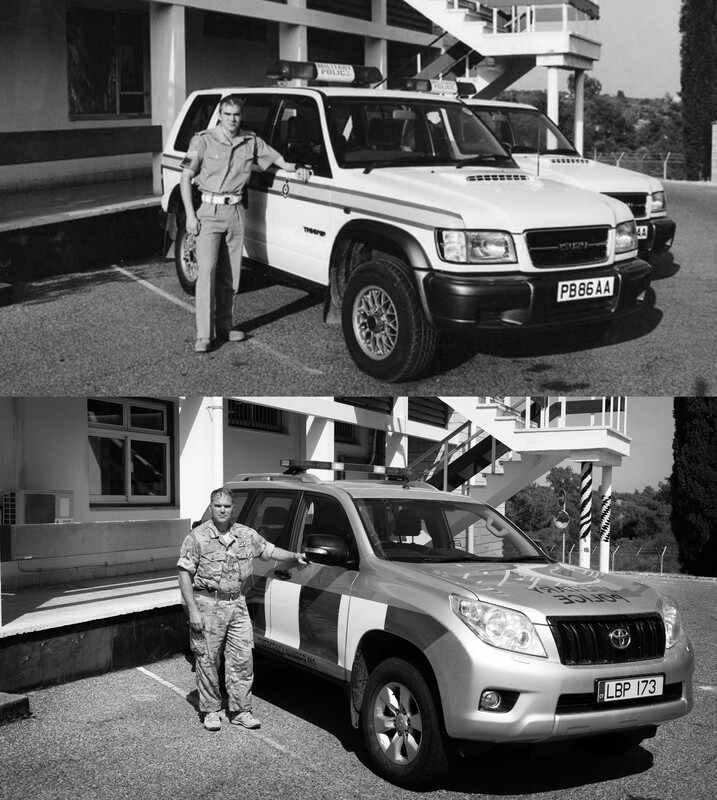 One of them was a picture of me standing alongside a Military Police 4×4, outside the Cyprus Joint Police Unit in Episkopi. I must have been trying to be creative as I had it developed in sepia. (Lord knows why!). Anyway, a quick check of one of the first albums I posted to facebook and there it was. A 19-year-old me standing in the police station courtyard with the Isuzu Trooper. I downloaded it to my computer and had a thought. It was only 200 yards down the road from where I was now accommodated, so maybe I could go recreate it. So that’s exactly what I did. There are 16 years between these pictures. Now I have never been one to reflect on past times as I have always been happy about what I have done and achieved in life but staring at this set of two images got to me. 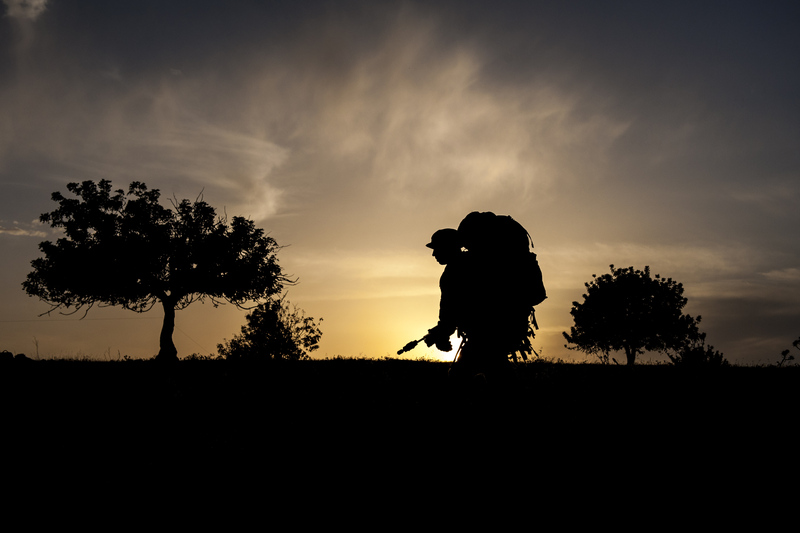 It is while I write this that I recently lost two military ‘brothers’ and it has profoundly affected me and the way I view certain things. I never expected to grieve quite the way that I am. Their lives have unexpectedly been cut short, and their families will never be the same; something I have given much thought to. I thought too about growing old myself. I thought about whether I had missed opportunities along the way. I thought about loss. I thought about making sure now that I do everything I have always wanted to. This pair of pictures should represent achievement and progress along life’s conveyor belt, but instead they make me sad because I can’t slow it down to savour what I love. My body has changed, the people in my life have changed; some come and some go and I suppose that’s just ‘life’, but at times such as these … it’s hard to reconcile. Hey, if you could see me now, it isn’t a pretty sight. I am not sure my inner thoughts on life have a place in this photographic blog. I have deliberated with my conscience at great length about their inclusion and in the end, here they are. Why? Well, because that’s the essence of what I believe photography should be about. Stirring up emotion; which these two images set beside each other did with me. I have always been passionate about looking at other people’s photographs, as I have mentioned in previous blogs. If a photograph moves you for whatever reason then it has impact and power and has achieved its aim. “Back to the pretty pictures” I hear you say. Ok then. 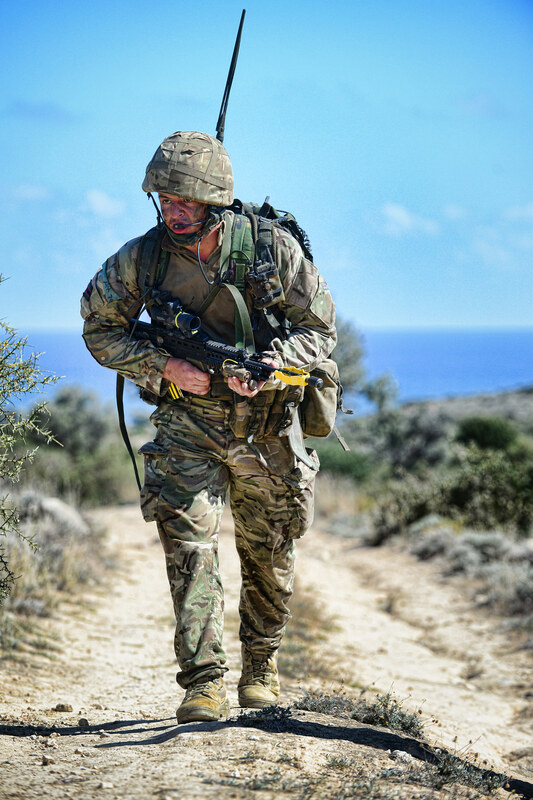 Before the exercise was declared over, the soldiers of 1 and 6 rifles had their final testing phase. I was there to cover it all. Some of the terrain meant our minibus couldn’t make it, therefore I had to lug my kit into position. It was hot. Not as hot as Afghan, but I hadn’t had any time to get used to it, so water intake was a must. 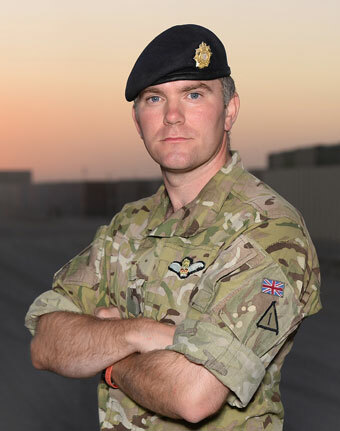 Running around in the heat, however, reminded me of Afghan and how much I enjoyed being in the thick of it. I was happy with my imagery from Cyprus. I didn’t have long to revel in it though. Two days after landing I was heading to Devon for a few days to watch hundreds of kids yomp over the moors. I’ll save that for another blog. 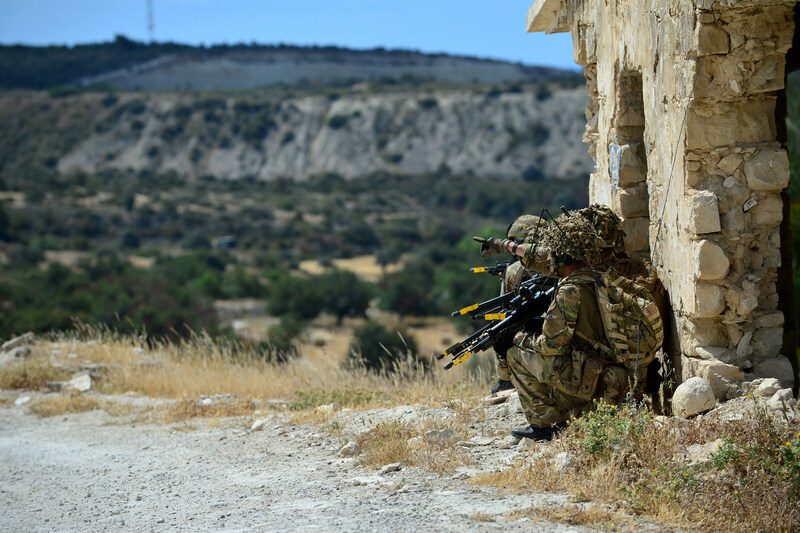 This entry was posted in Army, Life Through a Lens..., RLC and tagged Afghanistan, Army, army photographer, British Army, corporal si longworth, Cyprus, homecoming, parades, photographer, Photography, portraits, RLC. Bookmark the permalink. Great blog Si, and good to meet you there. Wondering if you are able to send me or link me to a Dropbox with the photos you took of the Sunday Service I took while there? 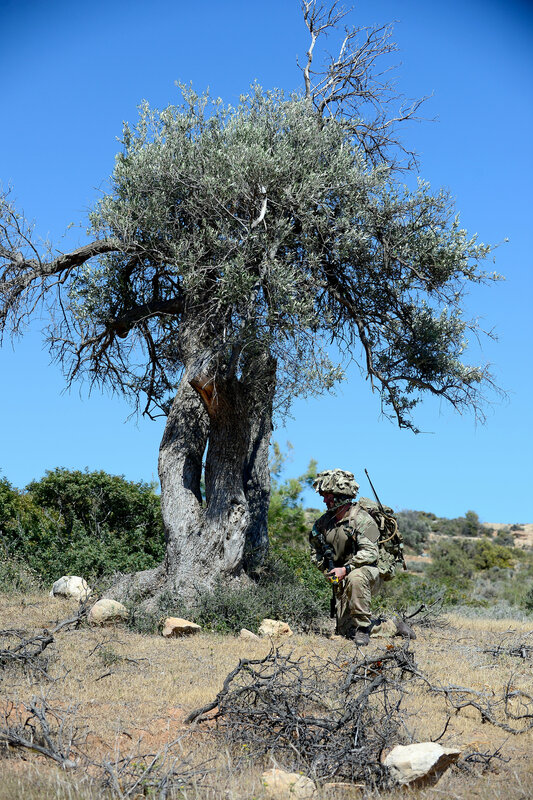 Also just to make a minor comment: while most who were in Cyprus were from D Coy in Cornwall, 6 Rifles as a Bn covers Cornwall (Truro & Plymouth), Devon (HQ in Exeter), Dorset (Dorchester & Poole), Gloucestershire (Gloucester & Bristol), Herefordshire (Hereford) & Shropshire (Shrewsbury). Send me an email to armyphot@gmail.com and I will send the link. great to read your post Si, and see your beautiful photography again, and your reflections on life. You are right, photography is all about emotion and evoking it. It’s always good to remember times well spent, and to enjoy your ‘now’ and do everything that you want. Thank you for sharing your pictures and words. Especially on your personal reminiscence. Im in the process of joining the reserves and really excited. Its been good to see your blog.